Lots of things going on this week, but one that caught my eye was decidedly low tech. 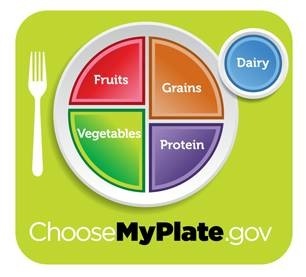 The United States Department of Agriculture replaced the time-worn Food Pyramid with My Plate. Fruits and vegetables cover half the plate, with a circular dairy icon that looks a bit like a bird’s eye view of a glass of milk. Desserts don’t show up; neither do fats or oils. What, you may ask, does this have to do with health IT? Potentially a lot. Look for targeting of obesity and other conditions that can be significantly impacted by lifestyle decisions to continue to be a major factor in healthcare reform, payment initiatives, and during the 2012 Presidential campaign. For the readers at the 20,000-foot level, that may not make a big difference. But for the IT grunts in the trenches, look for more requests for reports in this area and for dynamic alerts and clinical decision support around these conditions. As more physician groups and health systems dip their toes into the Accountable Care Organization waters, look for “cherry picking” of desirable patients and “lemon dropping” of undesirable patients to increase. American Medical News reported last week on Florida physicians who are refusing to treat patients who weigh more than 200 pounds or whose body mass index indicates obesity. The actual solicitation (RFP) will be posted on June 26, 2011 and will be open for thirty days. I suppose the cart went a little before the horse since providers are already going to have to test this to attest to Meaningful Use in 2011 or 2012. Most of you are already aware that CMS has proposed additional “hardship exemptions” for providers hoping to avoid the 1% Medicare pay cut in 2012. One of these is for providers who may be in the process of adopting certified EHR technology that has delayed their implementation of e-prescribing. They recognized that these delays may have been due to the fact that the list of ONC Certified HIT Products didn’t start appearing until September 2010, whereas the eRx proposal went on public display in June 2010. It’s always nice when the Feds admit that the right hand didn’t know what the left hand was doing, but it doesn’t give me confidence. Having trouble sleeping? You can read the proposal yourself here. People who know me know I’m a shameless Netflix addict for a variety of reasons. Although I have several critically acclaimed films lined up for viewing, there is a part of me that likes mindless action flicks. This week’s pick was Unstoppable with Denzel Washington. Although most of the time I can see the plot on action films coming from a mile away, this one had some surprises and made a good diversion from the pile of technical reading I brought home with me this weekend. Have a movie recommendation, favorite ICD-9 code, or juicy CMIO rumor? E-mail me.